Chilled uncooked shortcrust pastry block. 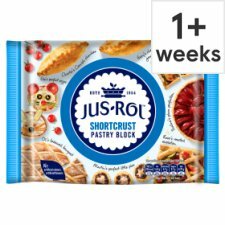 Jus Rol Chilled pastry sheets are ready rolled, so you can use them straightaway. 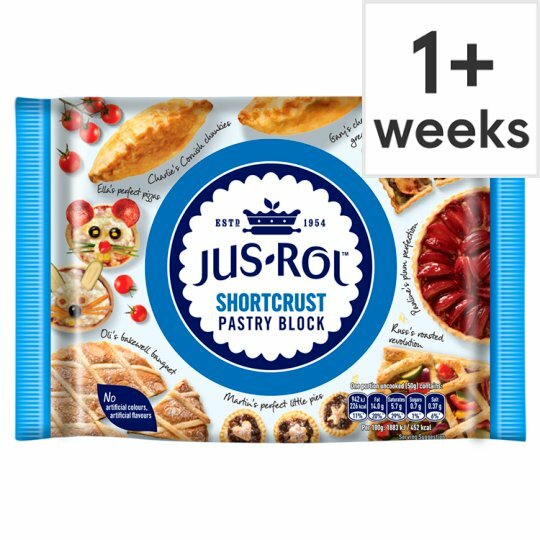 Jus Rol pastry sheets and blocks make it easy for you to bake. Keep refrigerated below 5°C, Home Freezing: Freeze on day of purchase. Consume within 1 month. To defrost thaw overnight in your fridge or alternatively for 2 hours at room temperature. Once thawed do not refreeze. 1. Take out of the fridge about 45 minutes before using. 2. Roll out the pastry while still cool to your required thickness, on a lightly floured surface. After rolling out, allow to stand for a few minutes before using. 3. Bake in a preheated oven at 200°C (180°C for fan assisted ovens)/Gas Mark 6, or at the temperature required in your recipe. Why roll to £1 thick? 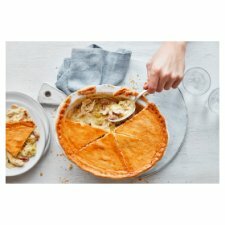 At this thickness pastry is thick enough to handle without cracking yet thin enough to cook thoroughly for a delicious golden bite every time.